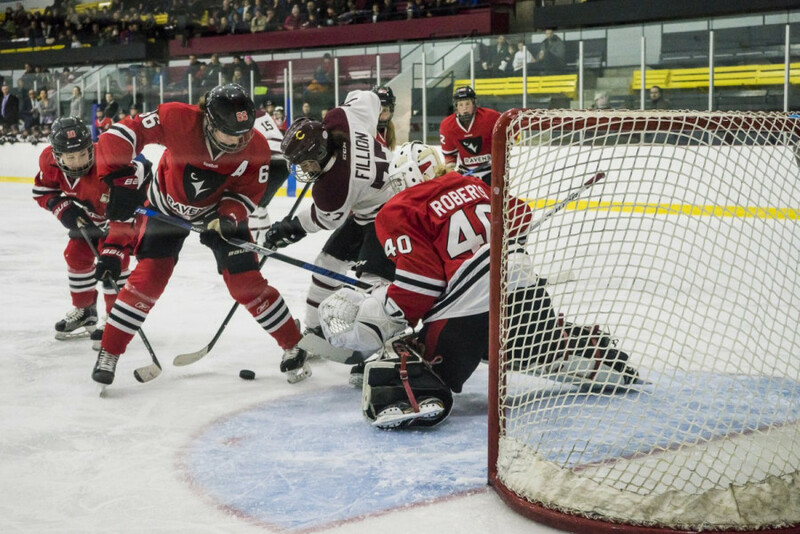 Of the Réseau du sport étudiant du Québec’s five most productive women’s hockey players, the league champion Concordia Stingers had three of them. Included in those three players was first-year forward Lidia Fillion, who was named the RSEQ’s rookie of the year for her performance in the regular season. Her 17 points, ten goals and seven assists were all tops amongst RSEQ rookies this year. For scale, McGill forward Kellyane Lecours was the second most productive rookie with only 11 points. Bringing in and quickly developing high-end talent is becoming par for head coach Julie Chu’s course. 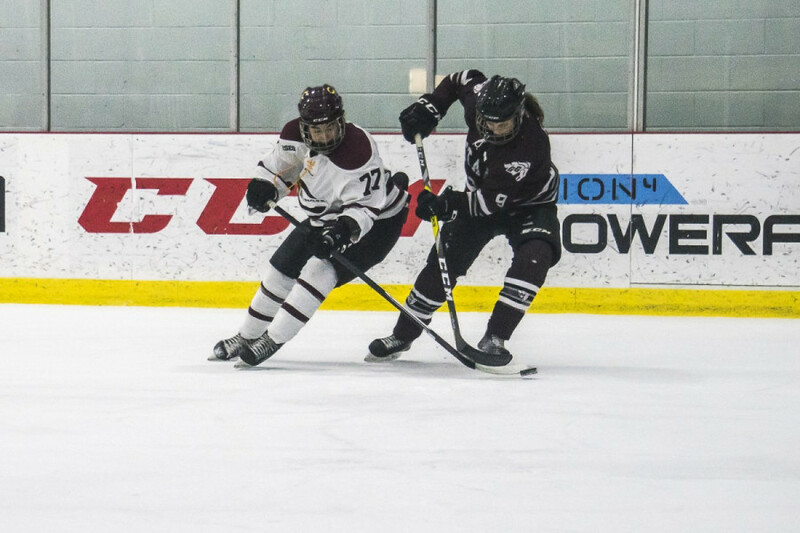 Forwards Claudia Dubois and Audrey Belzile were the other two Stingers in the top five, and they’re both players who have steadily improved in the three years since Chu took over the program. Chu went on to say that it took a while for Fillion to find her stride at the university level. But she says that her work ethic, attitude as a teammate and her commitment to improving helped her become the most productive rookie in the league. As a young player herself, Belzile testified to the fact that the Stingers have a good cast of veterans on their roster for young players to emulate and lean on for advice as they develop. Fillion’s season embodies that as she saw her production explode in the second half of the season. She had a 12-point outburst down the stretch of the season after recording only five in the first half. “It took me, like, maybe a month to realize that ‘Ok, yeah, maybe it’s more quick and the play comes earlier,’ but after that, it was ok,” said Fillion. Fillion joins three other Stingers to have taken home RSEQ honours. Dubois and Bezile were named second-team all-stars while defender and team captain Marie-Joëlle Allard was named to the first team. For Chu, however, it’s all about the collective. Still, Fillion is happy with the feat, especially since she didn’t expect to win it. She is the first Stinger to receive the award since goalie Katherine Purchase won it in 2014-15. Moving forward, her attention is fixed on nationals. Fillion wasn’t as productive in the playoffs as she was during the regular season, and is hoping to redeem herself. Their quest for a national title begins Friday at 7 p.m. against the Saint Francis Xavier University X-Women at Thompson Arena on the campus of the University of Western Ontario in London, Ontario. With files from Dustin Kagan-Fleming.